I had the privilege of taking several members of my school’s leadership team to the U.S. National Whitewater Center about a month ago. After exhausting ourselves by embarking on adventures such as high-ropes courses, canyon-crossing zip-lines, and category 4 whitewater rapids, we decided to relax by watching other teams attempt to navigate the most challenging rapids: a quick drop into churning water that forces the raft to turn left just before a severe drop over the largest rapid in the complex. We laughed, joked, and, occasionally, cringed with one another as people fell out of their rafts. As the last wave of rafts came through, I noticed a small boy – perhaps 6 or 7 years old – at the front of the raft. There was a man with him at the front that I assume was his father. 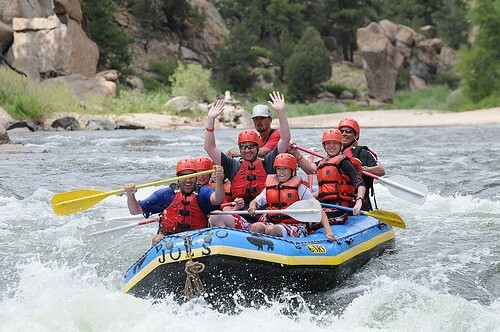 If you are not familiar with rafting, the strongest team members are usually placed at the front to determine the pace for the rest of the raft. It is also the place in the raft where one is most likely to get thrown-out headfirst into the rapids. So, while it is a place of honor, it is also a risky place to be. They came down the channel three times. The first two runs took place without incident. In-fact, I noticed the joy on his face as he led his team through the tumultuous water. He seemed fearless in the face of real danger. On the group’s third run, the side of the raft hit a rock, sending it into a spin just before the steep drop down the final rapid. As the raft began to drop, the boy started to fall headfirst over the front of the raft. Just as his hips cleared the border of the raft, the man sitting next to the boy – his father – extended his arm, grabbed his son’s PFD, and jerked him back into the raft just before they hit the bottom of the rapid. They then proceeded down the channel without further issue and we decided it was time to head back to home for the day. Suffice it to say that I did not immediately see the connection to leadership. 1. It’s important for the leaders of today to recognize leadership potential within the leaders of tomorrow and give them genuine opportunities to lead. 2. 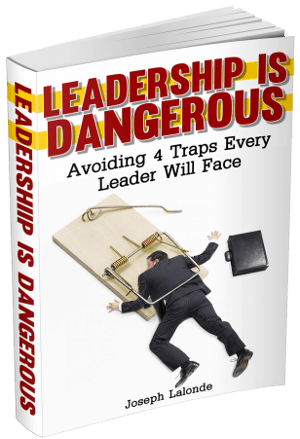 Young leaders should surround themselves by those more experienced to help them avoid pitfalls and to catch them when they fall. Question: What are you doing to recognize the leadership potential of those around you? Please share your thoughts in the comment section below. This was a guest post by Angelo DelliSanti, an assistant principal in Mooresville, North Carolina, who is passionate about leadership. He is pursuing his Doctorate in Educational Leadership from The University of North Carolina at Charlotte. He shares inspiring quotes and informative articles on his blog, Principaled Leadership. Angelo is also a member of the Board of Directors for IN*SITEnetwork, a network with the purpose of connecting leaders in Education to one another. I’m always looking for guest posters. If you would like to guest post, you can find the guidelines at An Invitation To Guest Post. Are You an Accidental Soul-Sucking CEO?